Formerly known as New England Pest Control, Big Blue Bug has been providing residential and commercial pest control in Holliston, as well as throughout Massachusetts, Rhode Island, and Connecticut for over 80 years. We are a fully licensed and insured New England pest control company, helping business and homeowners achieve and maintain a pest free environment with the use of eco-friendly pest control treatments. We have effectively exterminated spiders, mice, ants, termites, mosquitoes, and many species of cockroaches in Holliston. As a locally owned and operated pest control company, you can confidence that we will fully take care of all your pest control problem and leave your home or business pest free! What Are Cockroaches and Are They Dangerous? All three of these species of roaches will enter homes through small holes and cracks in search of food, water, and shelter. Oriental and American cockroaches tend to be attracted to moisture, with oriental cockroaches found in sinks, by washing machines, and basements and American cockroaches preferring to live in mulch in flower beds, but will be found in bathrooms and damp basements. German cockroaches are much more adaptable, foraging for food in kitchens in homes, apartment complexes, and other commercial facilities. While cockroaches can bite, they rarely do. They can be a dangerous insects, carrying bacteria and cause contamination in food and water supplies, possibly causing serious health risks to humans and their pets. By implementing these simple pest prevention tips you will be well on your way to better protecting your home from unwanted pests! 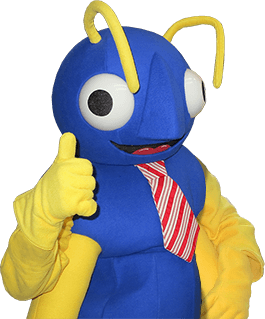 Whether you are suffering from a cockroach infestation, mice in your attic, or carpenter ants destroying your home’s structure, Big Blue Bug can help! Contact our Holliston pest control pros today to schedule an inspection! For all your pest control needs in Holliston, contact Big Blue Bug today!